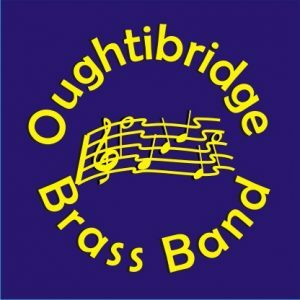 Oughtibridge Brass Band, based in the village of Oughtibridge (North Sheffield), is a traditional British Brass Band, currently competing in the 3rd section of the National Brass Band Championships of Great Britain. The band perform several concerts a year both locally and further afield. 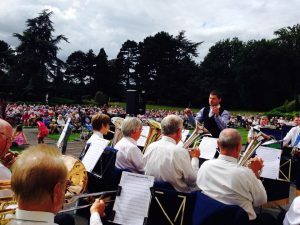 With music ranging from traditional Brass Band music, to Film Music, Pop Music, Classical music and more, Oughtibridge Band cater for all tastes of music both on the bandstand or concert hall. To see where you can hear us next, please see the Engagements page. To find our more about hiring Oughtibridge Band for your event, please see our Contact Us page. If you fancy joining us for a blow one evening, the band rehearse on Monday & Thursday evenings (7:30pm-9:30pm) in our own custom build band room. To find out more about the current vacancies we have, please visit our Vacancies page. Our training band rehearse on Friday evenings from 6:30pm-7:45pm. For more details, please see the Contact Us page. New We are now open on a Sunday Morning at 10am for a free and easy rehearsal. Everyone is welcome. If you enjoy playing but don’t want commitment or contesting this could be for you. If you don’t think you are good enough, there will be some players from main band at these rehearsals who will be happy to help you. 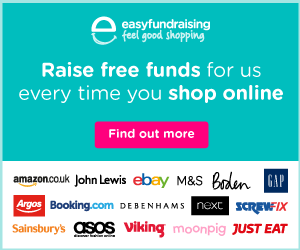 If you would like more information please contact us or just turn up. The region of Oughtibridge has supported some sort of music making group for well over 100 years. The Band in its current state was formed in 1890. Throughout its history, the Band has supported local events such as Church Parades, Galas, Carol Concerts etc as well as taking the village name far and wide with their tours, engagements and contest performances. The band is a competing band engaged in local and national brass bands contests. From 1960 to 1979, the band won 23 trophies. In more recent times the Band played in London (including at the Albert Hall) in the National Championships three times between 1980 and 1990, and in the 3rd Section National Finals in Torquay in 2002. After a period of re-building, the band pulled themselves up from the bottom of the 4th section to qualification to the National Championships of Great Britain and promotion to the 3rd section.